Dear Friends of Portobello Sailing & Kayaking Club – which includes all skiffers! Please join us for our annual AGM on Tuesday March 1st 7.30pm at The Beach House, 57 Bath Street, Edinburgh, EH15 1HE. See the Notice and resolutions attached. 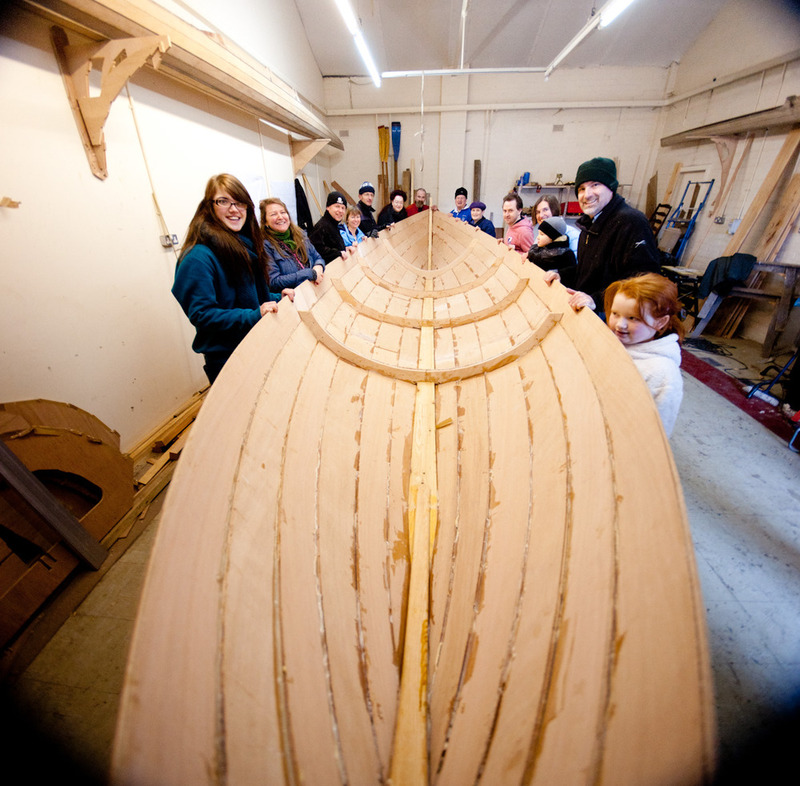 Saturday 5th February 2011 brought a number of Portobello people together to help turn over the second skiff. 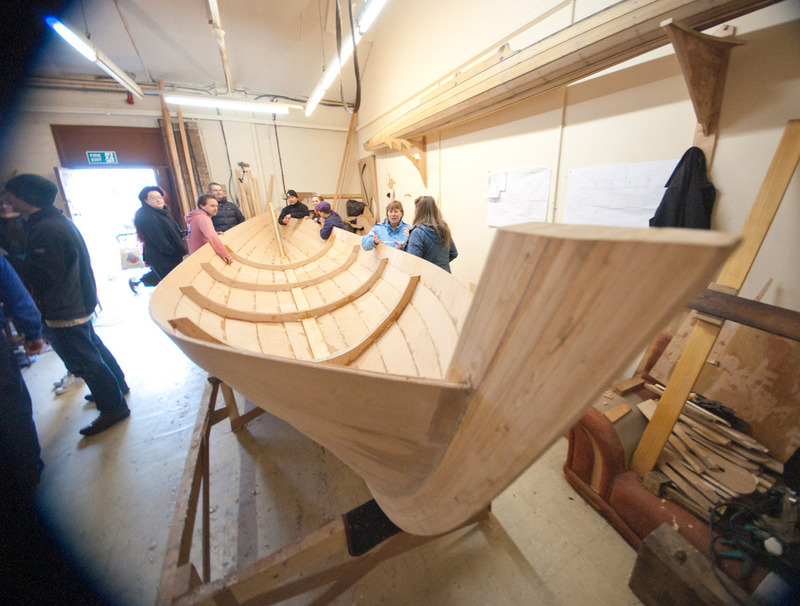 We all basked in the labour of love that is the building of our second skiff. 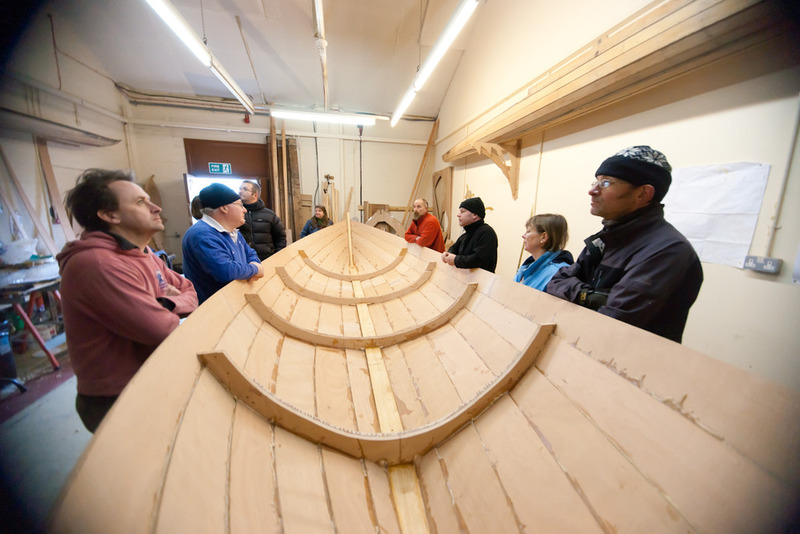 This is another milestone in the project which began 16 months ago, and we are now over half way to launching the second boat. Nick Savage and over 20 volunteers have labored through the dark and cold winter evenings on Mondays, Thursdays and Saturday afternoons and remain on target for a launch date in April. 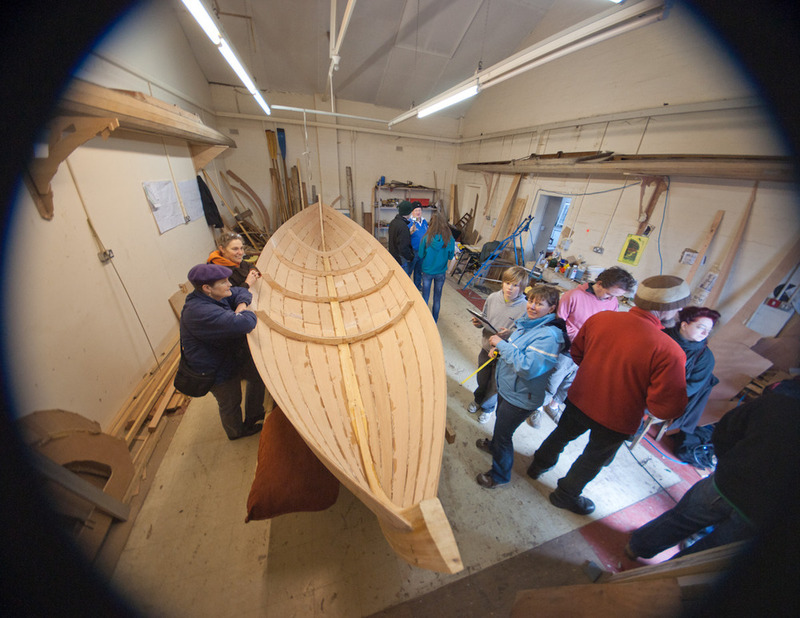 The building of this second boat has benefited from all the lessons we learned on the first build, which has also enabled many more people to get involved. Young and old, men and women, from many different walks of life, some strong and some gentle, have all been equal in the workshop, and we thank them for their hard work. The use of additional moulds has helped create a lovely smooth hull shape; there is some speculation that this boat will be faster than our beloved Icebreaker because of the slight change to the design. This remains to be tested on the water; can’t wait. With the noticeably longer days we are now able to see the light at the end of the tunnel, and we await the day when Icebreaker has a playmate on the waves. 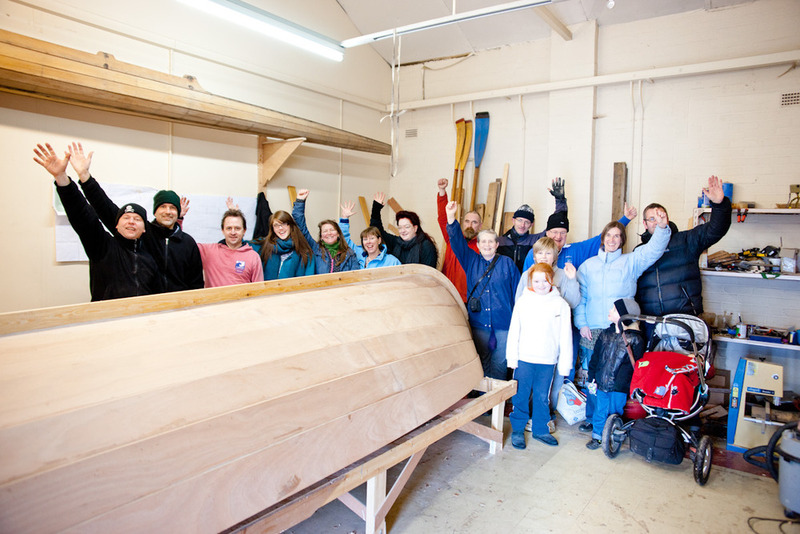 On Saturday we gathered to turn over our second boat. A fuller update with more photos and details will follow, but Patsy got her pictures to me first, so she she gets the honour of revealing skiff number two to the world.